We at Relationships Scotland do not, as a general rule, comment on celebrity relationships. However, Anne Chilton, our Head of Counselling, felt a duty to advise international actor and singer Kermit the Frog on his romantic well-being. 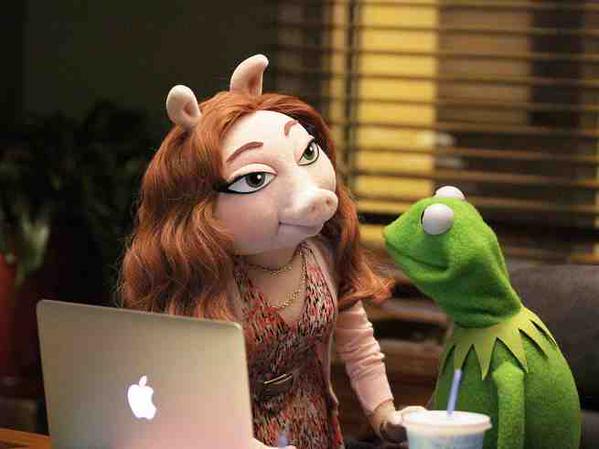 As we’re sure you’re aware, Kermit announced his break-up with Miss Piggy this August. The two had been in a long-term relationship for decades; one of the most stable in Holywood. Kurt Russel and Goldie Hawn are rumoured to have sought relationship advice from the grounded pair. However, Kermit is now dating and stated on Tuesday: “While I prefer to keep my personal life private, this is Hollywood, so who am I kidding? It is true that I am dating again. However, at this time no one woman — pig or otherwise — is my official ‘new girlfriend.’ We are simply close friends.” Despite his protestations, it does seem that Kermit and Denise are more than simply close friends. “It’s not always the best thing to go running into a new relationship straight after one has ended. Ok, so it might make you feel better, but really if the old relationship hasn’t been good for a while it might be that the new one isn’t better; it’s just different and we might see this as a much better place to be.